OUR CYBER WEEKEND DEAL | and some more great deals from our partners! Iris Works is coming in hot with the best pricing of the year for Cyber Weekend. 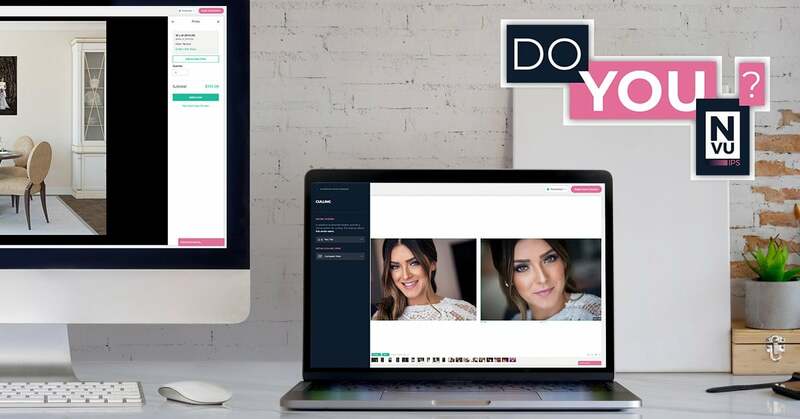 START A NEW IRIS WORKS SUBSCRIPTION: Are you ready to take your business to the next level with the only studio management system you’ll ever need? Today, you can save 30% off your annual subscription with code CYBER2018. UPGRADE YOUR SUBSCRIPTION TO INCLUDE BOOKING: Are you ready to upgrade to Iris Works + Booking? 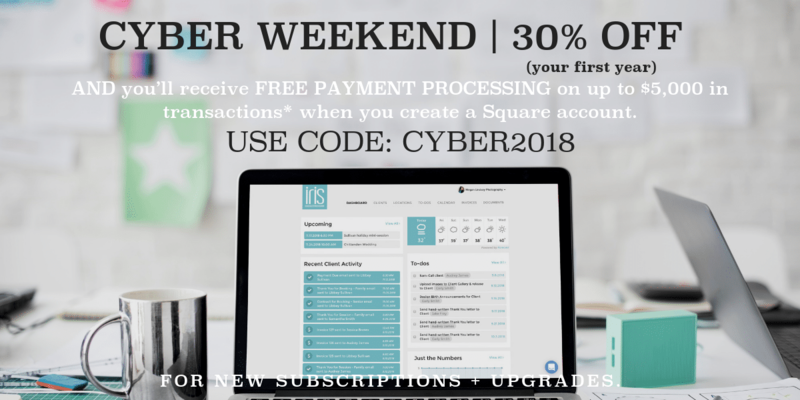 You can save 30% on your new annual booking subscription by upgrading your subscription all weekend with code CYBER2018. And that’s not all: subscribe today and you’ll receive free payment processing on up to $5,000 in transactions* when you create a Square account. The LawTog: Thousands of photographers protect their business with our resource. 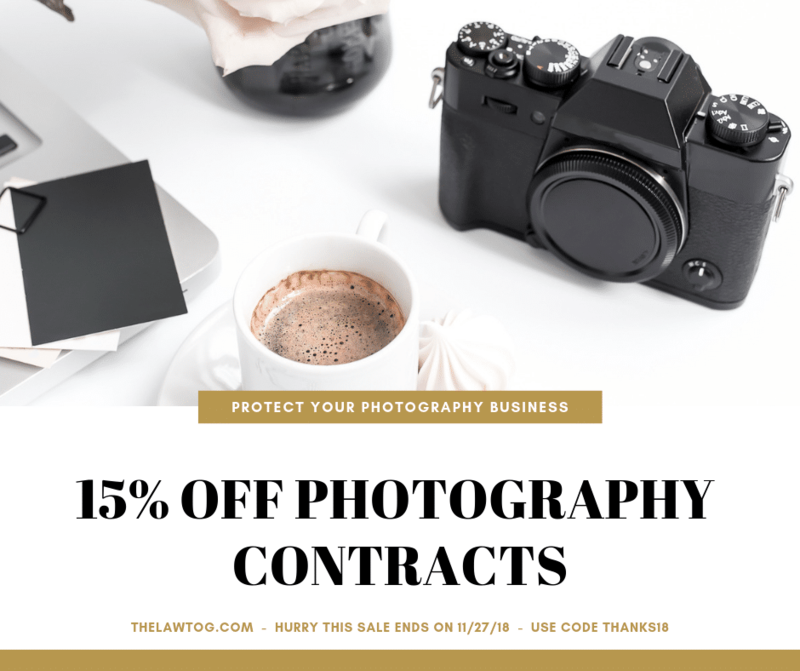 Save 15% on our photography contracts, model releases, print releases + more for your photography business. ShootProof: ShootProof provides stunning client galleries and sales tools that empower photographers to focus on what matters most. 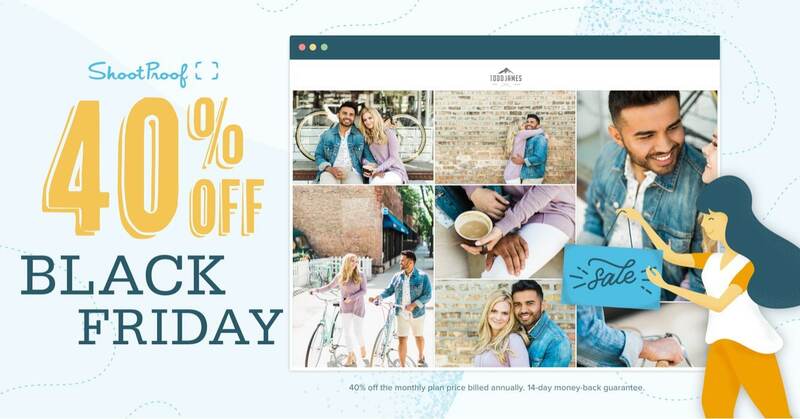 Share and sell your photos in customizable galleries, and deliver a better client experience with digital downloads, proofing, printing, and more. 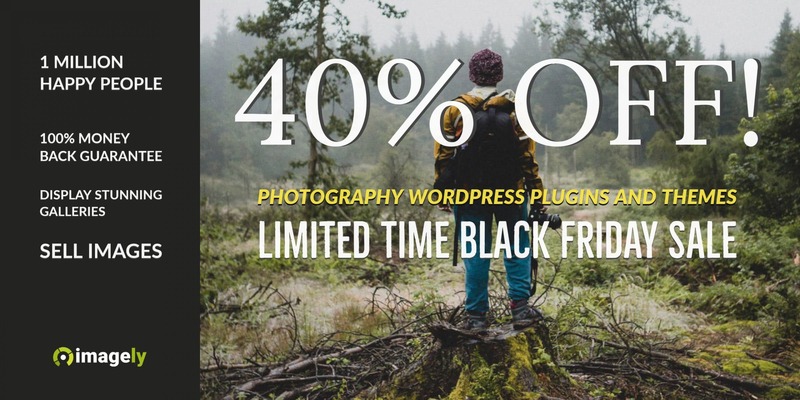 Take advantage of ShootProof’s Black Friday deal and get 40% off your first year. 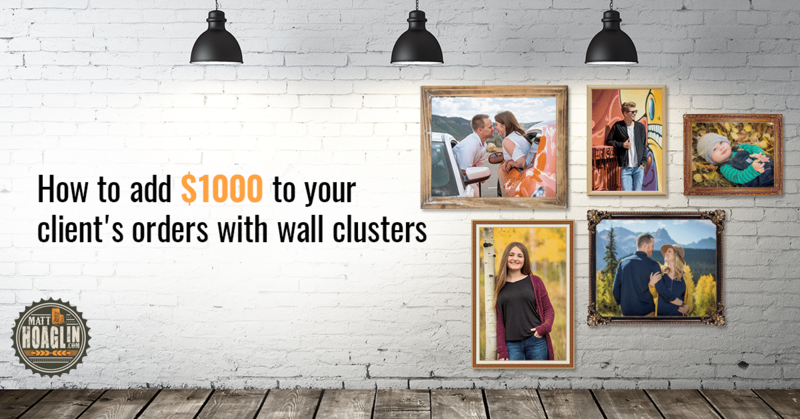 If you’re an existing ShootProof user, you can get 40% off your next 12 months when you upgrade to a higher plan. The 40% discount is based on 12 months of the monthly plan price, billed up front for the year. All plans come with a 14-day money-back guarantee. 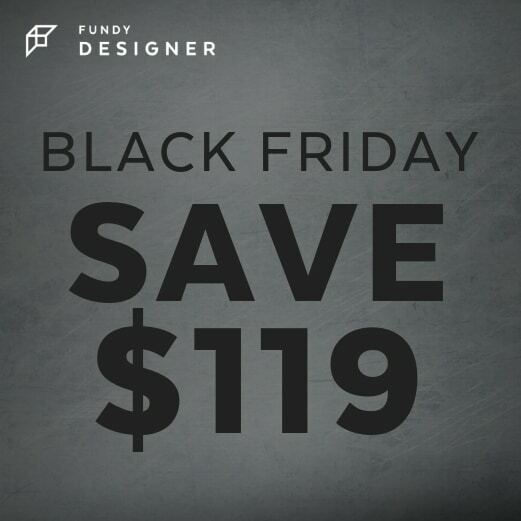 Fundy: It’s here – Fundy Software’s best deal of the year. Whether you are purchasing a new suite or upgrading your software, save $119 on any purchase from Nov. 21 – 26. 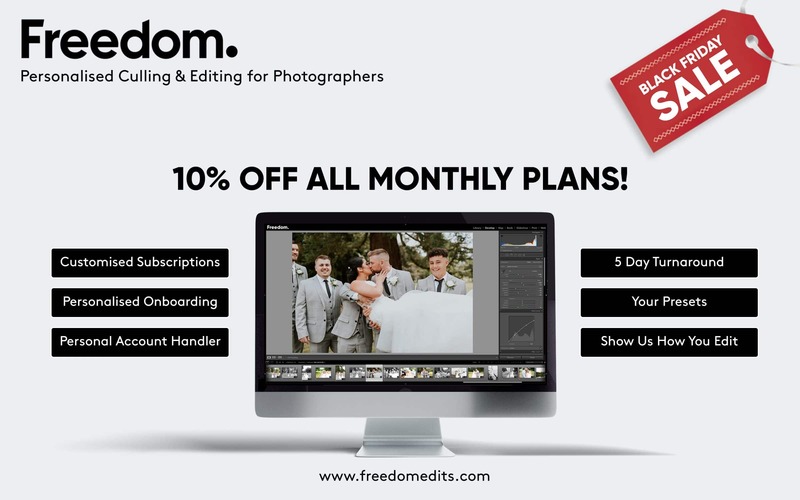 Freedom Edits: Freedom Edits is offering an additional 10% off all of it’s monthly plans this black Friday. Receive culling and editing at a heavily discounted rate, with your own account handler, fast turnarounds and unparalleled consistency. Swift Galleries: Get $50 off your first year of Swift Galleries. For only $130, you’ll get your first year of Swift Galleries wall art design and In-Person Sales tool; The Path to Printmaker course to switch you from shoot and burn to in-person sales step-by-step; and The Printmaker Coalition Facebook community for monthly coaching & additional free resources. 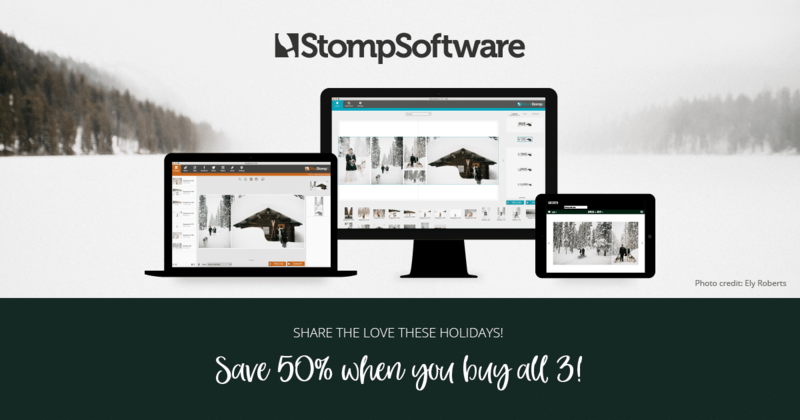 StompSoftware: 50% off when you buy all three products! This includes BlogStomp3, the All New AlbumStomp and a year of AlbumPrüfr. Our range of Apps help you to get out from behind your computer faster, and enjoy the things you really want to do in life. #Happy Stomping. 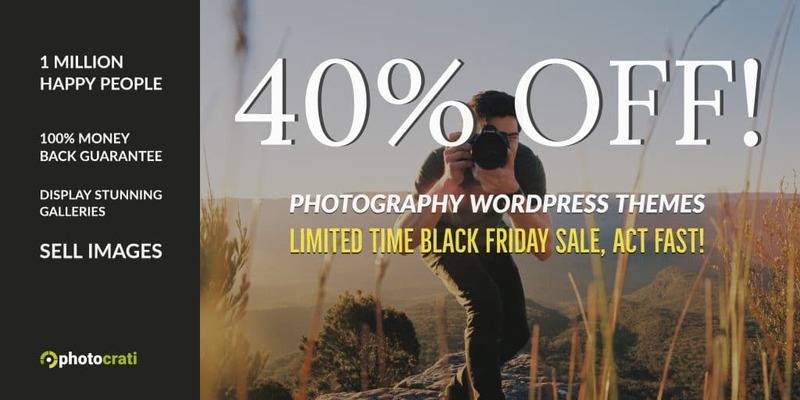 Imagely: Imagely offers the leading WordPress gallery plugin, NextGEN Gallery along with NextGEN Pro for photographers to sell digital downloads, prints and offer proofing for their clients. Imagely also creates stunning themes for photographers all built on the Genesis framework. Save 40% off using the coupon code BF40. Photocrati: Photocrati is a supertheme for photographers, packed with customizable controls over nearly every aspect of your website. It might have bells and whistles, but it’s easy for anyone to use no matter the level of experience with WordPress. Save 40% off using the coupon code BF40. 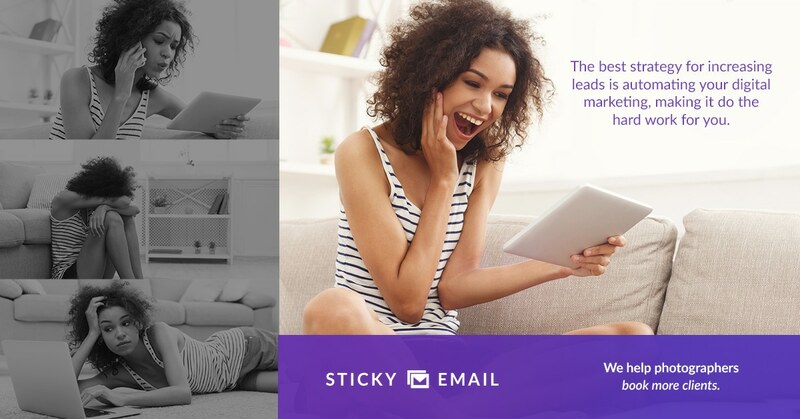 StickyEmail: Most photographers are struggling to book enough clients to stay in business. We are on a mission to fix this, with simple software that is helping thousands of photographers automate their marketing & consistently book clients that love them. Invest in automation and save more than just your money. 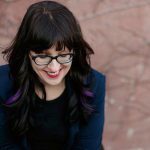 Psychology for Photographers: What if your website acted like an all-star salesperson? What if you could write about yourself confidently (and knew what people wanted to hear)? What if your posts and emails drew comments and engagement like crazy? Save time and learn the psychology. Save $50 on each course + more on a bundle. 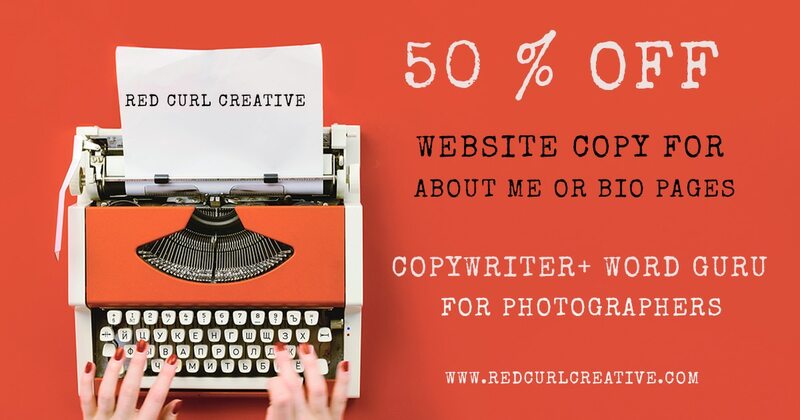 Red Curl Creative: 50% off About Me or Biography Page copy for photographers for websites or social media. The Milky Way: Free 2019 Yearly Planner for Photographer. Have a plan. Have a life. Roberts Camera & UsedPhotoPro: Get huge savings on all of your favorite new and used camera gear! 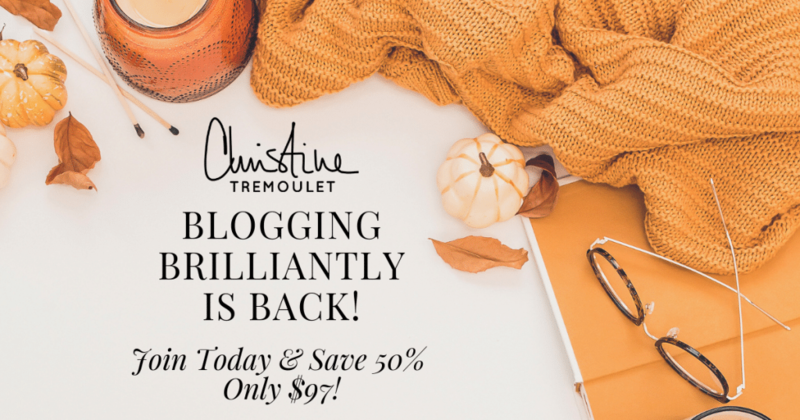 Christine Tremoulet, Blogging Brilliantly: What would it be like if you started off each week knowing exactly what you were going to post on your blog & had a social media calendar ready to go for your business? Get the support you need and dominate your market with your story selling strategy! Join today & save 50%! Only $97 until 11/27/18. 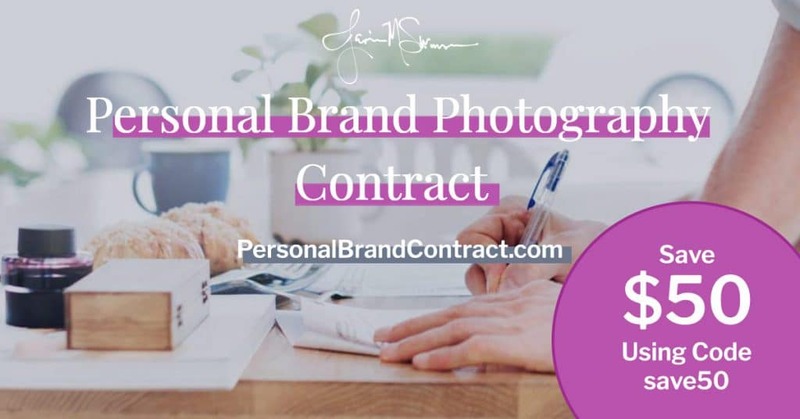 ← Four ways to get your photography business started.